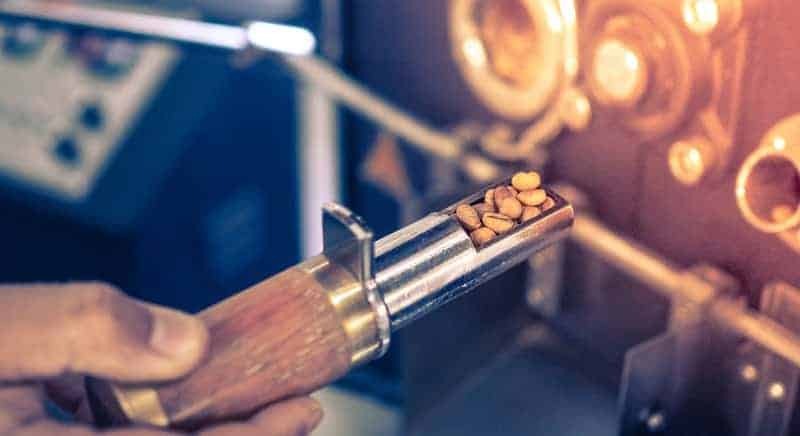 Roasting coffee beans at home is a great way to save money and boost the quality of your daily brew, but it can seem like a fairly complex activity for newcomers. Let’s simplify things by breaking down the best home coffee roasters out there. It saves you money. Speciality-grade unroasted coffee beans usually sell for $5-7 per pound. When roasted, you end up with 12oz of roasted coffee (¾ a pound). When you compare that to a $17 bag of speciality-grade beans from a big roaster, you’re saving ~$10 per bag of coffee—and those savings add up fast. You get to explore a new side of coffee. Roasting is a skill, and one that’s fun to learn. When you roast coffee at home, you get to experience the transformation from green to brown bean, with the sights, smells, and sounds. It’s a great way to enhance your love for coffee. Roasting is, well, impressive. It’s fun to roast with friends and taste the results. Your home roasted beans also make for great holiday gifts that everyone will appreciate. Behmor leads the pack in major ways. 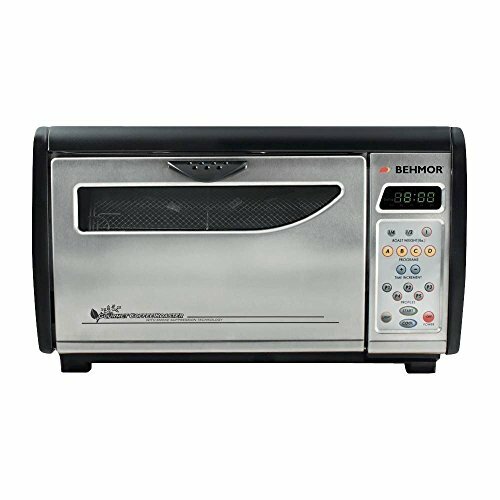 It’s fully customizable, also comes with reliable pre-programmed roasting recipes, is easy to use and clean, and has the largest roasting capacity of the list: 1lb. Are you ready to go on this new adventure? Then let’s look at the best coffee roasters available on the market today. “The go-to for new and veteran coffee roasters who want an easy, reliable machine for roasting their own beans at home. Ask any coffee pro what home roaster they suggest, and you’ll hear the name Behmor. This roaster has been a favorite of home roasters for years, and the updated Plus model has only made it better. This is a true ‘drum’ roaster, using essentially the same style of roasting that big commercial-style roasters do—just on a much smaller scale. The drum spins while the machine heats, giving your beans an even roast. Amazingly, it can hold up to 1lb of coffee, which is quite a bit more than any other option on this list. The Behmor comes with an easy to use control panel that allows for full-manual roasting for the more adventurous out there, but it also comes with several pre-programmed settings that give anyone the ability to achieve a thorough, balanced roast. Chaff (the outer flaky part of the coffee bean) won’t be an issue, because it’s funneled during the cooling process into a tray you can easily clean out after each session. There’s no better mixture of power, control, and value than the Behmor coffee roaster. If you’re after a user-friendly device that will allow you to tinker with roast profiles but won’t be overly complicated, this is a great option. “Air roasting is very fast, and this roaster gives you quite a bit of control over the process considering the price. Manual stirring — Pop the lid off and stir the beans with a spoon without disrupting the roast. Just remember to put on an oven mitt first because that air is hot. This device also features a cooling cycle, chaff tray, heat control dial, and fan speed dial. The biggest downside to the FreshRoast is its small 4oz capacity, which produces enough roasted coffee for ~5 cups of coffee. This means you’ll be roasting a lot with this machine, but considering how fast it is, it won’t really be a burden. The FreshRoast is a great little machine and best-in-category for air roasters. It lacks some features the Behmor has, but at less than half the price, it’s still a fantastic pick for coffee lovers who want some control but prefer a less expensive option. There’s no guessing as to what “Recipe A” or “High Temperature” actually means because it tells you the exact temperature at any moment. This is why super enthusiasts often say this is the best machine for home roasters that want complete, uninhibited control. The Gene Cafe also has a noise-reducing motor, chaff collection bin, and impressively small footprint. 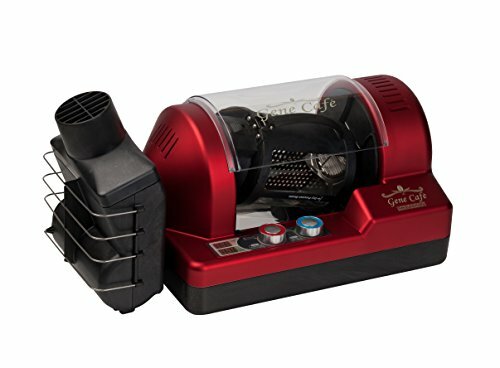 Many roasters sacrifice precision for simplicity when it comes to roasting controls, but the Gene Cafe tells you like it is, making it the ideal choice for home roasters who want to know the exact temperature to the degree at all times. “Old-school roasting is cheap, easy, and makes the process fun and hands-on. The roaster itself is a piece of art too. In the end, roasting coffee beans is mainly about adding heat—and you can do so with just a stove and a pot! It’s a more rugged way of roasting that’s very hands-on, but there’s something meditative and rewarding about actually holding the roaster in your hand while you roast. The Nuvo is made from durable ceramic and features a cow-hide handle. It’s natural to hold, fun to use, and can roast coffee just as well as any other machine. It’s harder, of course, since you don’t have direct control over the temperature down to the degree, but that’s all part of the charm. Plus, without electronics or mechanics, you can count on this roaster lasting decades. The main downside is the small 30-70g capacity. It’s really only enough for 3-4 cups of coffee, but if you build roasting into a bi-weekly routine (as many of the Amazon reviewers have) you won’t have any issues here. If you’d like to get started with home roasting with a simple, minimal hand roaster, the Nuvo is a great buy. 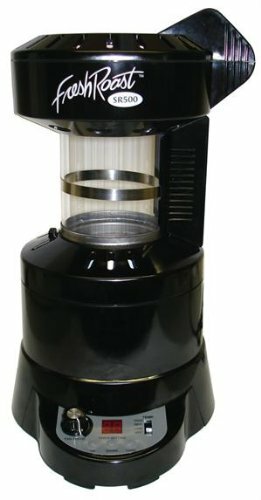 It’s easy to use, has a rugged charm, and can roast some delicious coffee in a matter of minutes. “Okay for popcorn. Amazing for coffee beans (so simple, so easy). Why didn’t I start roasting my own coffee sooner? Another low-cost classic is the Whirley Pop stovetop popcorn maker. 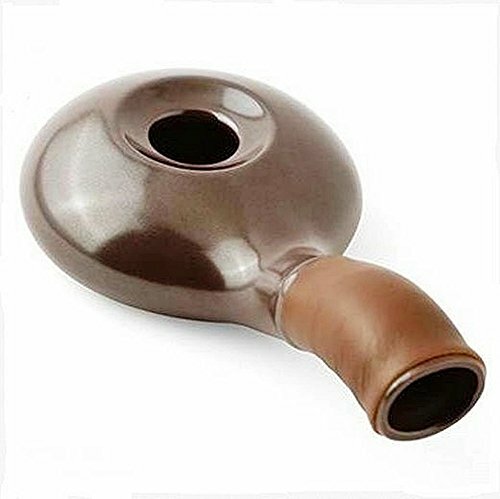 We don’t know who first thought of using this as a coffee roaster, but they hit the jackpot. This roaster has a bit of a cult following, and once you use it, you’ll understand why. It’s deceptively simple, reliably consistent, and can roast up to ¾ of a pound of beans in one go. 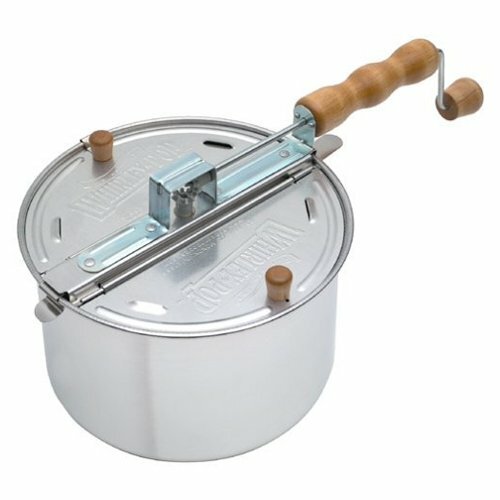 All you have to do is turn the stove on medium, set the Whirley Pop over the heat, slowly turn the knob to spin the beans within, start a timer, and you’re good to go! Bonus points if you drill a hole for a small thermometer so you can better control the heat. It’s hard to beat the Whirley Pop when it comes to beginner gear. It’s easy to use, easy to clean, and allows you to roast large batches. You’ll get the hang of rich, balanced roasting in no time! Roasting coffee at home is a fun, rewarding skill to learn, but jumping in can be difficult because there’s so much to learn about the gear. Let’s dispel some of the confusion. Here are some of the things you should consider when looking at a roaster for your home. Big commercial roasters use ‘drums’ that spin while heating coils or flames actually do the roasting. Since the beans are constantly turning and tumbling, the roast is very even. Hot air roasters don’t tumble the beans—they spin them with hot air, and it’s that hot air that actually roasts them. 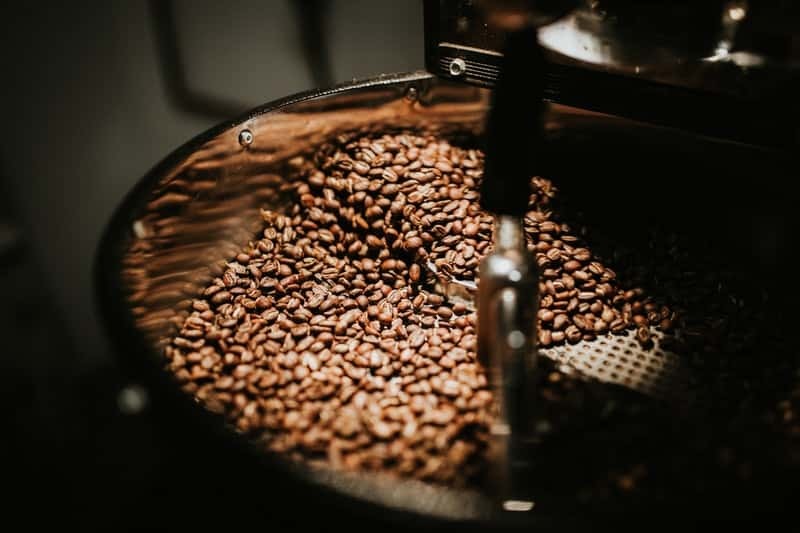 Drums are generally more consistent, which is why they’re preferred in commercial settings, but hot air roasting tends to be faster, cheaper, and often leads to a brighter acidity in the flavor. Turning on the stove and roasting beans in a Whirley Pop or Nuvo roaster is very beginner-friendly. While you don’t have as much precision over the temperature, it doesn’t get much simpler. Electric machines can have a lot more precision and power behind them, but the electronics and mechanics are bound to break and require repair eventually—not to mention, they’re always significantly more expensive. Realistically, how often do you want to roast coffee? If you’re thinking just once a week or so, a bigger capacity roaster of ½ to 1 pound is what you should look for. If you’re willing to roast a lot more frequently, or if you’re just looking for a fun hobby for every now and then, a smaller bean capacity will be fine. How Much Control Do You Really Want? Consider yourself a super enthusiast, or are you just wanting to casually get into home coffee roasting? The more precision you have, the more scientific you can get about the process, which is why passionate roasters usually pick higher-priced, electric machines. But if you’re simply excited to roast your own coffee without becoming a snob, don’t get hung up by the fancy machines. Still have some questions? Here are the common ones we get—hopefully these settle your final concerns and hesitations. 1. Can I save money by roasting my own coffee? Oh yes! 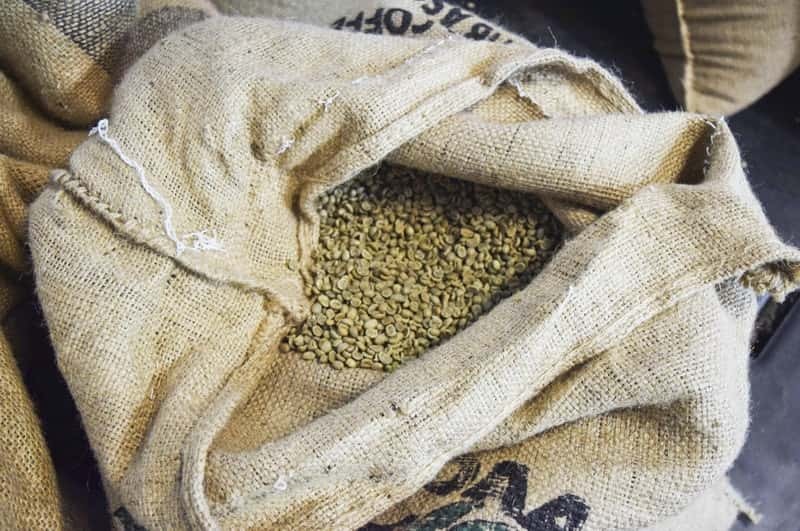 Specialty-grade green coffee (the really good stuff) can be purchased for $5-7 per pound—and those are the same beans you’d pay $17-20 for from a cafe! 2. Is roasting coffee hard? Roasting is essentially just adding heat to coffee beans. But, realistically, there is a bit of a technique learning curve involved to really get to that high level of flavor quality we all love. While it’s not crazy difficult, don’t be disappointed if you have some mediocre batches when you’re just getting started. 3. Where can I buy green coffee beans? Green coffee can be hard to come by, so most home roasters buy their beans online. Here are a few popular places to buy beans from. Which coffee roaster looks best for you home and coffee style? We’d love to know—tell us in the comments below. I’ve had a Hot-Top drum roaster for 12 years. It’s probably done about 800 roasts. Parts have broken or worn out, but everything has been user-serviced so far. Even replaced the drum and control panel. The initial $1000 has long paid for itself, and the results continue to be great.